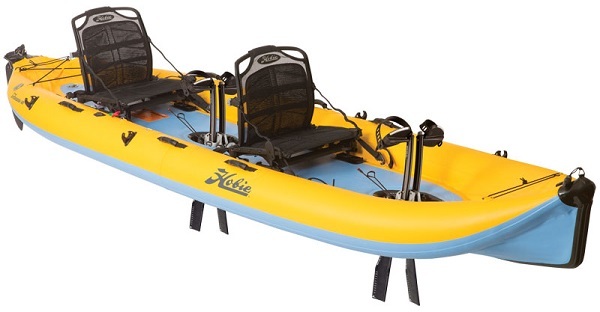 The i14t from Hobie is the ultimate tandem inflatable touring kayak featuring dual MirageDrive. Powered by MirageDrive™ that lets kayakers pedal, leaving their hands virtually free for other activities like fishing, taking photos, bird watching, or just plain having fun. 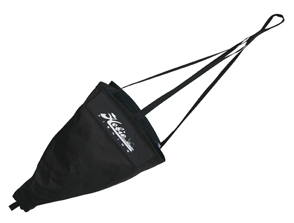 Each boat inflates and deflates quickly and comes standard with a rolling travel bag. They are designed to be transported in cars, trucks, and RV's, or on larger boats and to be stored in condos or any other place where space is limited. All three are within allowable dimensions for air travel with a surcharge for extra weight. Each one can be pedaled, paddled, and/or sailed. The hulls are constructed of durable 1000-Denier PVC with a drop stitch floor. Each boat has three inflation chambers with one-way valves. Wear-guard material protects the bow, stern, and hull centerline. The cockpits are self-draining with dual scuppers. All three models feature the patent-pending, kick-up Twist and Stow rudder that can be lifted and turned to lay flat on deck when not in use, whether in the water, on top of the car, or in the rolling travel bag. Bow storage is available on the i12S and i14T, accessed by a patent-pending eight-inch Twist and Seal hatch that opens and closes effortlessly with a simple turn of the handle, is highly water resistant, features a smooth surface, and has a compression O-ring. Steering is controlled via the left side, fingertip-controlled Twist and Stow rudder system. The rudder can be rotated out of the way in very shallow water and for transport or storage. Rudder steering lines are made from Spectra, the world's strongest fiber, up to 15 times stronger than quality steel of the same size. Width: 0.91 m | 36"
Height: 0.53 m | 21"
Bag Dimensions: 122x64x30cm | 48"x25"x12"
Large cone shaped "para" chute deployed in the water slows your drift in windy conditions when anchoring is not possible or desired. Design keeps chute just under the surface and fully inflated. Anchor line not included. (Connect to the Hobie Anchor Trolley System for best results). 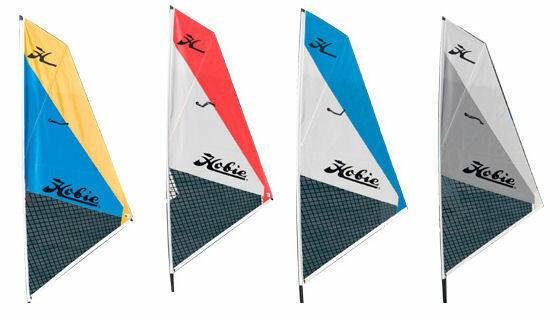 Add sail power to Hobie Mirage Kayaks! 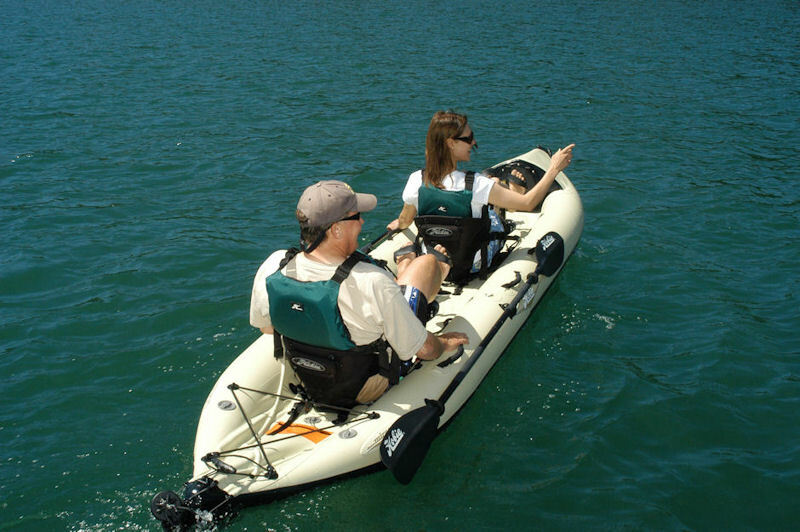 (Fits all current models of Hobie Mirage Kayaks). Sail with ease maintaining excellent speed with or without pedaling while sailing. Easily pedal out to sail or pedal home when the wind is too light. We offer a delivery service for the Hobie Mirage i14T 2019 throughout the UK & Ireland to home and work addresses. Buy a Hobie Mirage i14T 2019 online from our website and collect from our shop at Lee Mill, Plymouth, Devon or you can collect from any branch within the Canoe Shops Group. There is no cost associated with this. 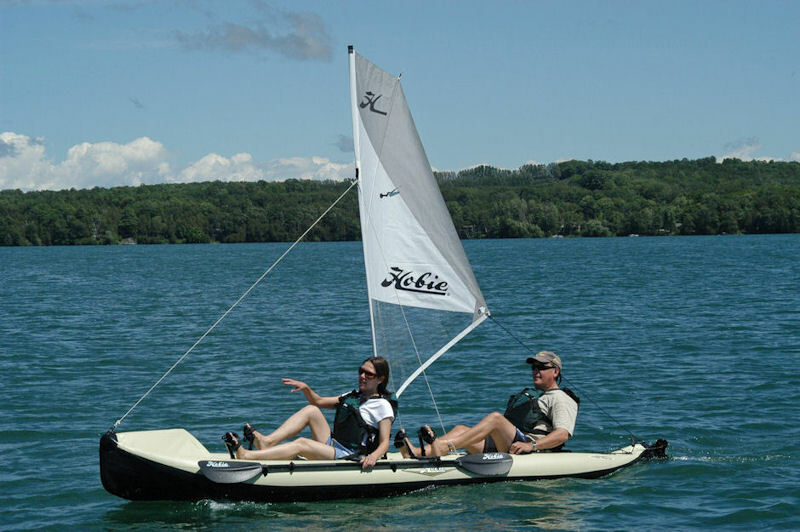 We can now offer 0% Finance on the Hobie Mirage i14T 2019 (0% APR Representitive). It has never been easier getting on the water. Simply use the Calculator below by selecting the finance option from the dropdown menu and adjusting the deposit amount. Once you are happy with the monthly payment amount click on the 'Launch Loan Application' button, which will direct you to our Finance Companies Application Portal to complete the online application (This usually takes around 4-5 Minutes to Complete). For more information on Finance available: View Full Finance Info.